Don’t miss one of the hottest TweetChats:Travel Trends and Family Travel issues Wed 9 pm ET #FTFChat What’s going on in this vital market? @holidayworld – hope you’ll join our Tweetchat Weds nites, 9pm ET #FTFchat – and share what’s up from your POV on family travel trends! RT PLS! We are having an #FTFchat tonight at 9pm EST: http://bit.ly/dEkCWv We will talk about all things family travel. See you there! RT PLS! #FTFchat tonight at 9pm EST: http://bit.ly/dEkCWv We will talk about all things family travel. Tell us your questions! 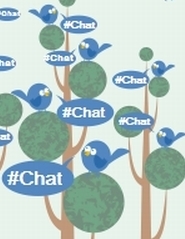 Checking out the #FTFchat First time I’ve heard of it, is it new? @worldschooled First time I’ve heard of #FTFchat too! Ditto. What is it? RT @familyonbikes: @worldschooled First time I’ve heard of #FTFchat too! Family Travel: How Safe is Your Child’s Playground?